Do you want to have “fresh” waffles in the morning with your kids but don’t want to be a slave to the waffle iron? 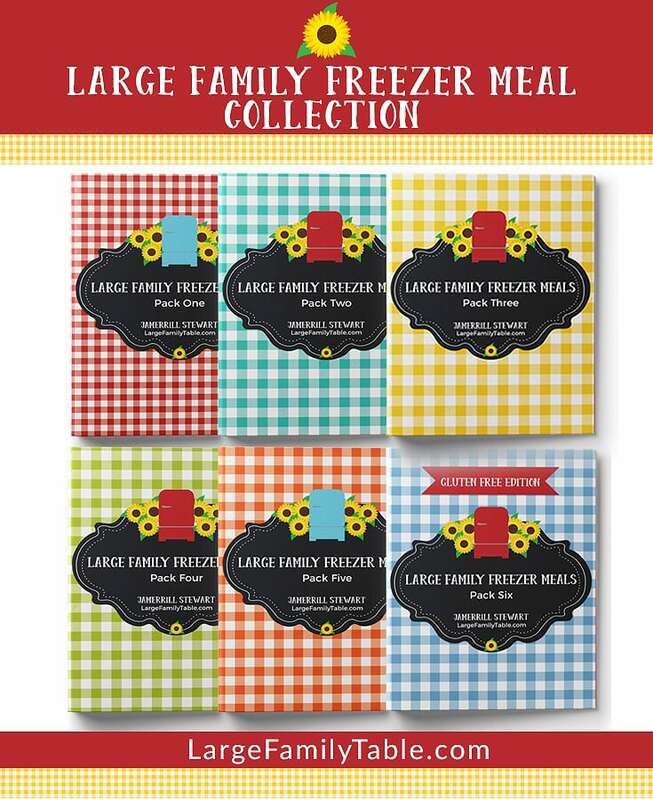 Since our family size continues to grow, along with everyone’s appetites, I cook waffles in large batches and freeze the rest for later. This is a stack of 21. I divided this stack into 7. Then put one stack in the refrigerator for our next breakfast and two stacks in the freezer. When we want waffles for breakfast there will be no eggo’s for us. I pull out a frozen stack the night before and put it in the refrigerator to defrost. The next morning I reheat on medium in the microwave. Da-Daaa! Fresh waffles w/o the mess! I’m just curious, you said you microwave the defrosted waffles. Does this make them soggy? Or do they retain their nice crunch (I like em crunchy). I love this idea of freezing but wanted to know this before trying it. Thanks!! I am less of a planner and like crunchy waffles also. I pull them straight from the freezer and toast them in the toaster oven. I just don’t cook them as long the first time so that they don’t get burnt when I toast them. I’m just wondering, what kind of waffle maker do you have? I cook a lot of extra waffles when I make them as well. I freeze each waffle (so they don’t stick together) by laying them on a sheet pan & putting them uncovered in the freezer for a few hours. Once they are frozen you can stack them & put them in baggies without them sticking. When you are ready to eat them you can just pop one in the toaster like an ego – no need to defrost & they aren’t soggy at all!